Evanna - Darren Shan Wiki - The wiki about all Darren Shan books! This article is a stub. Please help Darren Shan Wiki by expanding it. Lady Evanna is a powerful sorceress. She is the sister of Hibernius Tall and the daughter of Desmond Tiny. Evanna was created by Desmond Tiny by mixing the blood of a Vampire with that of a pregnant wolf and working strange charms on her. Evanna was one cub of four, along with her brother Hibernius Tall, and two stillborn wolves. Within a year after their birth, they had grown to adults and left their parents to live their own lives. Evanna had been created so that Vampires could mate and have children with her, but she informed them that it may be many hundreds of years before she was ready, and maybe never. During the many years that followed, Evanna had chosen her name, made a home in a cave and studied the ways of the universe, traveling between different times and worlds. Some people believe that the other cubs were just like Evanna and Hibernius and were just born in their wolf form. Shortly before the time that the Vampaneze came into existence, a skilled Vampire General called Perta Vin-Grahl and five other Vampires who followed him had made a plan to capture Evanna and force her to bare a Vampire child. As they made their attack on her, she killed all five Vampires within moments of each other. She then chased the fleeing Perta in the form of a giant wolf for six whole months. Evanna could have easily killed him, but wanted to make an example of such a powerful and respected Vampire. She eventually quit the hunt and let him off. This was the first time Perta had tasted defeat. 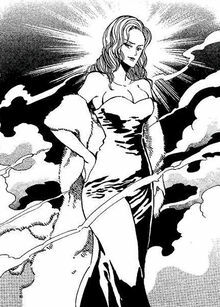 From then on Vampires recognized her power and kept their distance, despite this Evanna befriended several Vampires, such as Larten Crepsley and Vancha March. Sometime during their relationship, Evanna transformed into a beautiful young woman and a drunk Larten Crepsley attempted to kiss her. In retaliation, Evanna used a fingernail to cut a deep wound up along his cheek. Crepsley fled as Evanna attempted to help heal his wound. It is clear that Evanna sometimes regrets her temper as she repeatedly gives Larten Crepsley gifts to make up for the scar she gave him. When the War of Scars erupted, Evanna, like her father and brother, remained neutral. Although she would occasionally give advice to both the Vampires and Vampaneze. Towards the end of the books Evanna makes it clear that she favors the vampires when she pulls Darren out of the lake of souls while she doesn't even consider pulling out Steve. Evanna was a very intelligent and fearsome woman. She was mostly calm and cheerful, however she could be quick to anger (most commonly when being called a witch). She once changed from her ugly form into that of a beautiful woman in front of a drunk Mr. Crepsley. When he flirted with her, she gave him his scar by scratching his left cheek. She also has the ability to see the future like her brother, so when both Mr. Crepsley and Mr. Tall died, she felt no remorse as she had foreseen their deaths and had grieved when she had foreseen this. Evanna as a beautiful woman. In the Lake of Souls, she came to Darren's rescue when he was about to be eaten by alligators and the giant toad. She hypnotized the creatures, and took Darren and Harkat back to her camp. She then lead them to a nameless lake and made them a raft as a parting gift. When she discovered that Mr. Tiny was Darren's father she became extremely angry and changed into a large wolf like being. She is very cunning as well, so she was able to fool Mr. Tiny by allowing Darren to become a Little Person. This allowed him to stop his past self from becoming a vampire and give his diaries to Mr. Tall to give to his human self. The diaries were later published as the Cirque Du Freak books (as the story goes). As the daughter of Mr Tiny, Evanna had many unique powers. 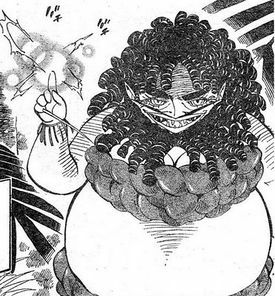 She could change her appearance so that she could be an elegant and beautiful woman or as ugly as a pig and even a wolfen monster. She can speak to any animal she touches and can control dragons. She can also cause people to go limp simply by using her mind. She has the power of foresight, which allows her to grieve for her loved ones that she saw die many years earlier. She has a wide knowledge of the universe and can travel between dimensions and times. She is immortal and believes that, unlike her brother, she may never die. Apparently Evanna has trained many people (vampires or otherwise) in her ways of magic, however none have ever completed their training. She can also breed frogs as a hobby and has manufactured several changes in her species: extremely poisonous sacs at the sides of tongues, birth marks that (when several of the frogs are assembled) reproduce the image of a vampire and making them extremely intelligent. One such set of frogs was bred specifically for Larten Crepsley and showed the image of his deceased ex-mate Arra Sails. This page was last edited on 24 September 2012, at 21:11.